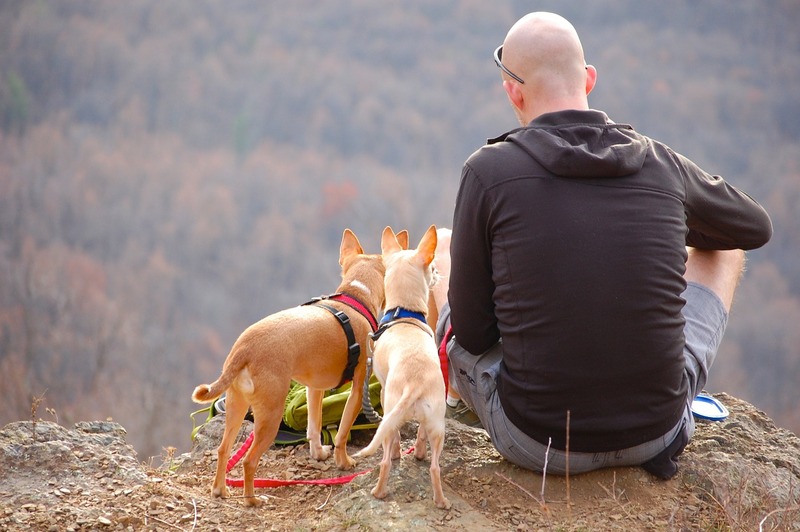 It can be frustrating to travel with your dog if you are unprepared. On a flight, there are some rules you must know ahead of time; and when you take a road trip your dog may get stressed-out if you don’t arrange a comfortable place for them in your car. From traveling on airplanes to cars to just trekking the streets, here is all you need to make a successful trip with your dog. When traveling with your dog, you need to monitor and keep control of them while also dragging around luggage, possibly a kennel, and other supplies. A waist-clip and fixed-length leashes will give you ease to handle your dog as you move, it allows you to control your dog using your waist so that your hands are free to handle other things. A fixed length leash enables you to maneuver your dog quickly in any direction and be able to easily pull them closer to you when needed. If you’re traveling on an airplane you will need to have a comfortable, well ventilated carrier well ventilatedcomfortable, well ventilated carrier with you for your small dog, or a sturdy and secure crate for your large dog. A carrier/crate gives your dog a secure place to stay while traveling. You should check with the airline in advance to see if your crate meets the airline’s pet guidelines or your pet might not be allowed onboard (each airline may have different requirements, so ensure you check prior to each trip). The airline may also have age and/or health requirements depending on your destination, and may ask you for veterinary documents/certificates as proof of your Dog’s health. Carriers can also be very handy if you will be doing a lot of walking, they let you hold your pet under your arm or on your back to keep them out of harms way. It is often best not to feed your dog before traveling as they can get an upset stomach or diarrhea. If you are travelling by air you are required to have a leak proof crate/carrier with absorbent materials inside. If travelling by car, schedule bathroom stops and be prepared for any mess by carrying a towel. Your dog will need food once you reach your destination, ensure you bring a generous supply of your dog’s current food as you may be unable to find the exact food brand your dog is used to after you arrive. Keeping your dog on it’s current food is important because it will drastically reduce any stomach upsets while on your journey. This food tip should also be considered in regards to your dog’s treats. Just like you, your pet can get bored. Ensure you have some toys with you so that your dog stays entertained. Consider all of the above points to make your journey with your pet more enjoyable, and don’t forget to bathe your pet ahead of the journey. A clean, fresh smelling dog looks brighter and is more comfortable.